To achieve great baked potatoes on a consistent basis, you need the right technique. According to Serious Eats, the method that ensures the best flavor and texture starts with poking holes in the skin and adding a coat of canola or vegetable oil. This will result in a crisp, tasty exterior. Set the potatoes on a baking sheet and place it in an oven set to 375 degrees Fahrenheit. Bake for about an hour. Check whether you can easily poke a fork into each potato’s center before removing them from the oven. 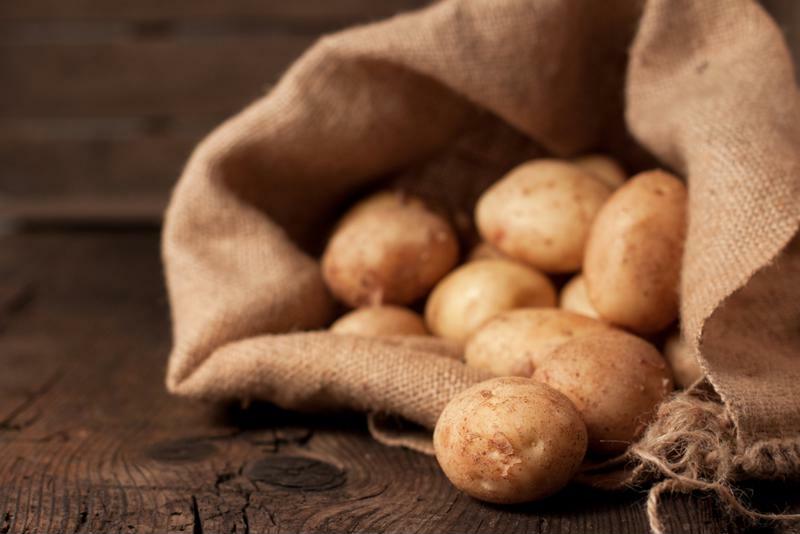 To pack flavor into every bite of your potatoes, you may want to take them apart first. Rest the baked potatoes for five minutes before slicing them in half. Remove the interiors and place them in a bowl with butter, salt and pepper. Mash this mixture until the butter is thoroughly blended and then return the potato interiors to the skins. Add your preferred toppings and enjoy the creamy, flavorful potatoes. For classic twice-baked potatoes, as Bon Appetit pointed out, you can speed up the initial cooking process with a microwave. Then, combine the flesh with sour cream, butter, chives, and tarragon. Bring the oven to 450 degrees for the second round of baking and allow another 25 minutes. Look for the filling to puff up and begin to brown. You can fill potatoes with a wide range of awesome flavors. There are endless options for stuffing baked potatoes with exciting flavors. The Kitchn provided a recipe featuring ricotta and roasted tomatoes. While baking the potato, toss grape tomatoes in olive oil with salt and black pepper. Place the tomato mixture on a baking sheet and cook in an oven set to 400 degrees for 15 to 20 minutes. Combine ricotta into the potatoes and then top them with the tomatoes. Season the stuffed potatoes with oregano. The Food Network outlined a wide range of ideas for stuffed potatoes. Explore possibilities like caramelized onion and sour cream, bacon and egg, or a pizza-inspired variation featuring tomato sauce, pepperoni, mozzarella, Parmesan and oregano. By preparing delicious toppings and fillings for baked potatoes, you’ll produce a fun dinner or side dish while developing your basic cooking skills.